Cushman is the only authorized dealer for Holder brand articulated compact tractors in Minnesota. We sell the latest Holder tractors, attachments and OEM parts. We offer factory trained Holder service and used Holder equipment. 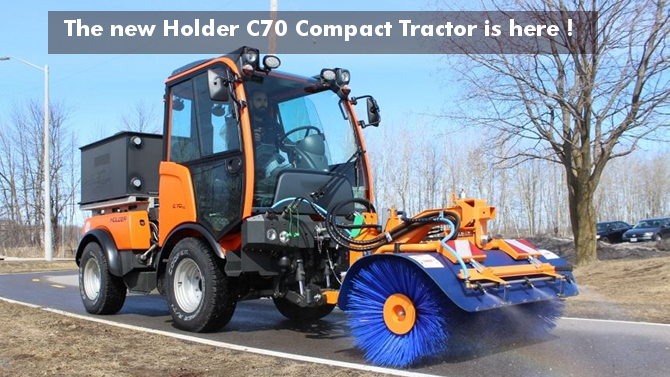 Holder tractors are extremely powerful, German-engineered commercial/industrial grade compact tractors known around the world for their quality and workmanship. Contact us by calling 612-333-3487 or 800-759-5343. Email us by filling out the form on this page. 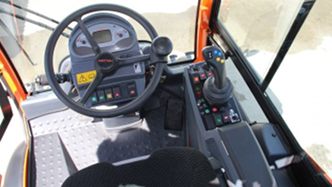 Narrow operating width – just 46 inches. Why buy a Holder? 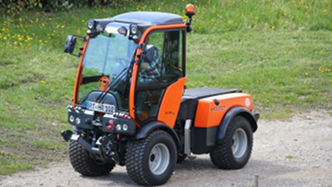 Power, dependability, versatility, operator comfort and precise German engineering are the usual reasons. Add a Two-Year Warranty to the mix. Now add Holder’s commitment to equipment and parts availability as evidenced by their huge Ontario based distribution and training center. Combine all these factors and this is one terrific machine. Who buys Holder from Cushman Motors? Local governments like the City of Apple Valley, the City of Fargo, the City of Roseville and the City of Minneapolis. 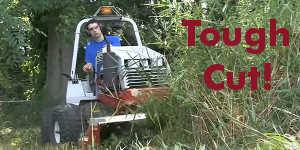 Smart customers who see the value of a high-end compact tractor that can handle the tough jobs in tight spaces. Spring, summer and fall attachments include: Flail mowers, tri-deck and power arm mowers; vacuum sweepers and rotary sweepers; debris blowers; water tanks, watering arms and high-pressure washers; and dumper bodies. Winter attachments include ribbon style snow blowers; pto and hydraulic sweepers; angle plows, folding v-plows, fixed v-plows; anti-icing spreaders, drop sanders; and dumpers. Click each image to see specs.